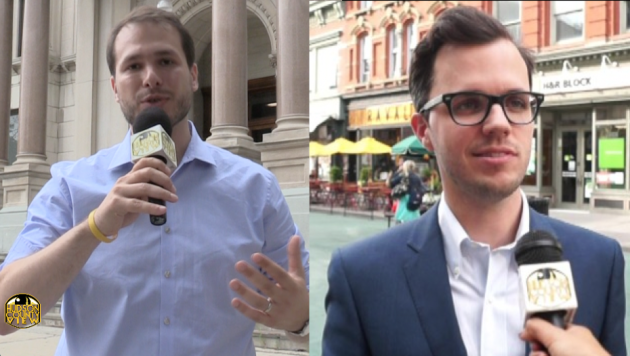 Jersey City Ward E council candidates James Solomon and Jake Hudnut blasted Mayor Steven Fulop after an alleged bid rigging tape leaked earlier this week. “If the crimes this tape appears to reveal are proven, people should go to jail. 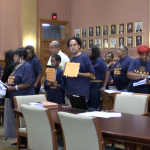 While the criminal justice system does its job, we have a job as voters to elect city leadership that will serve us with integrity, ” Solomon, who is running independently, wrote on Facebook yesterday. 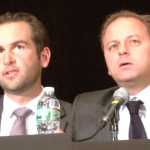 On Monday, Politico released a 2014 recording between Fulop’s then Chief of Staff Muhammed Akil and Shawn “Sully” Thomas Sullivan – who was the chair of the local Democratic party at the time. 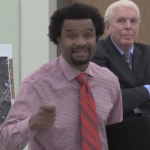 The recording, which was left on Business Administrator Robert Kakoleski’s answering machine by accident, went on for over 13 minutes where Akil and Sullivan discussed how they could potentially rig a bid for an energy consulting contract. What I don’t like about this, see, f***ing straight up this is the kind of s*** where motherf***ers go to jail,” Akil says to Sullivan towards the end of the recording, at one point also indicating this wasn’t the first time he had tried to do something like this. 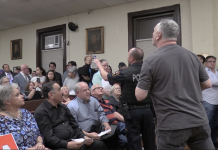 In a much longer Facebook post, Hudnut called out Fulop by name, mocking the fact that he refused to disclose which “authorities” he reported the incident to after cancelling the bid. 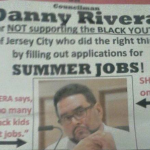 “‘Which authorities?’ is the most important question in Jersey City right now. It ought to be answered before Election Day. 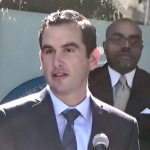 Yesterday, we finally heard the recording of Mayor Fulop’s aides fixing a public bid. The aides correctly state their behavior could land them in prison,” Hudnut, who is on challenger Bill Matsikoudis’ ticket, wrote. 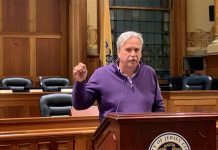 Hudson County View has previously sought comment from the state Attorney General’s Office, as well as the U.S. Attorney’s Office, who both declined to comment on the matter. According to reports filed with the New Jersey Election Law Enforcement Commission, Akil has been aiding Team Fulop during this election cycle: receiving a $5,000 payment from Fulop’s mayoral campaign for a “rent expense” on August 18th and another $5,000 for a “consulting fee” on August 31st. The payments were made to Alpha Planning, LLC, which is owned and operated by Akil. Fulop a former Ward E councilman before being elected Mayor in 2013, is not endorsing a candidate in the November 7th municipal elections. 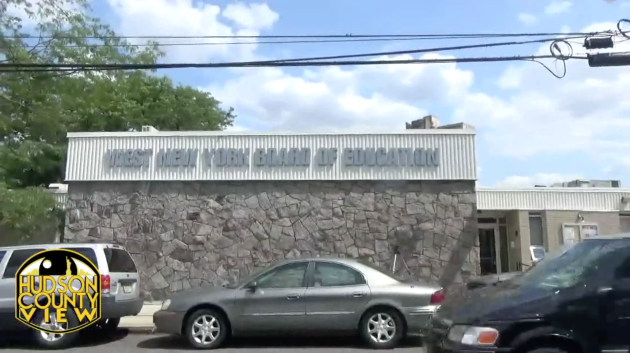 A spokeswoman for Fulop’s campaign did not respond to an email seeking comment. 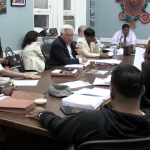 Poll: Do you think the Jersey City bid rigging tape will impact the election?